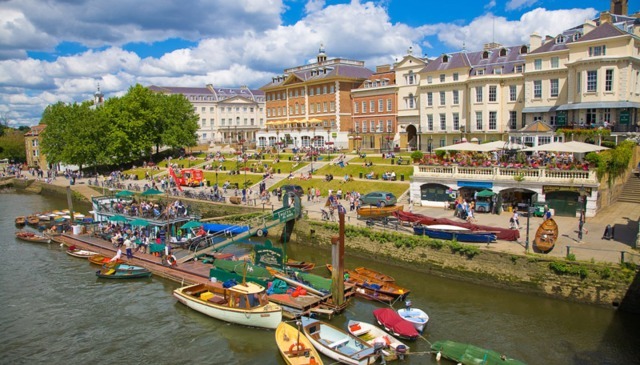 The school is based in historic Richmond-upon-Thames, ideally located with easy access through the London underground to central London and its many museums and art galleries, and at the same time close to Heathrow Airport and the motorway network. The courses are open to students over the age of 18 of all nationalities. A good basic education at a secondary school or equivalent level is essential, as is clear motivation regarding choice of course. Students have no need of any formal qualifications to be accepted by the school, and the City & Guilds Skills Certificate is particularly suitable for beginners. Applicants must have an ability to learn practical skills, and need to have patience and be able to pay attention to detail. A knowledge of Art History and drawing skills are both an advantage but not essential. Those possessing suitable professional experience may be permitted to take a fast track approach for the City & Guilds Skills Certificate. The lessons are generally 5 hours in length, starting at 9.30 in the morning with a one hour break for lunch which the students normally have together, and finish at 3 in the afternoon. The courses are part time and most students attend once per week, although it is possible to do more. Students are continually assessed during the course of the year, and produce a portfolio of work for final assessment at the end of the year. An external verifier visits the school during the year to check on the progress of the students. The assessment is normally carried out by a City & Guilds external assessor. All courses are taught in English, and students are expected to have a working knowledge of the language. Students whose English is not sufficient will be required to enrol at an English language preparatory course at an affiliated Language School, one month prior to the beginning of the course. The teaching staff are all specialists in their own field, selected for their enthusiasm and ability. the School has a policy of employing teachers who are part-time, as we believe that those who pursue their professional careers alongside their teaching have more to offer, both from keeping abreast with current techniques and from contacts with their peers. It is a deliberate policy of the School that class size is kept to a level where all the students may have the full benefit of personal attention. In general the maximum number of students in any one class is eight. Please fill out the Enrolment Form if you would like to apply.